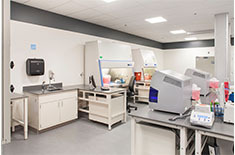 "Designing Labs - such an integral department in any facility - can mean a small ED-based stat lab to a 200,000 square foot clinical research lab. We strive to deliver the most efficient and future-focused space regardless of the space limitations. We want the Lab to function, and function optimally, for many years to come." 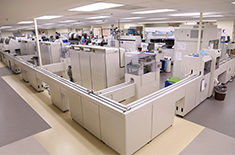 Laboratories are complex and require a lot of coordination and flexibility. Laboratory research and technologies are moving incredibly fast, so change is inevitable. Planning for these future unknowns is key to allow for the next reiterations of testing and research. 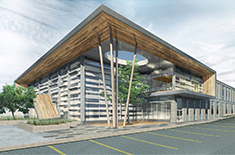 As a very specific niche in architecture, Lab Planning requires a thorough understanding of laboratories from their individual process flow through construction.